5. Bob Hentzen – The Saint » Change Myself. Change the World. 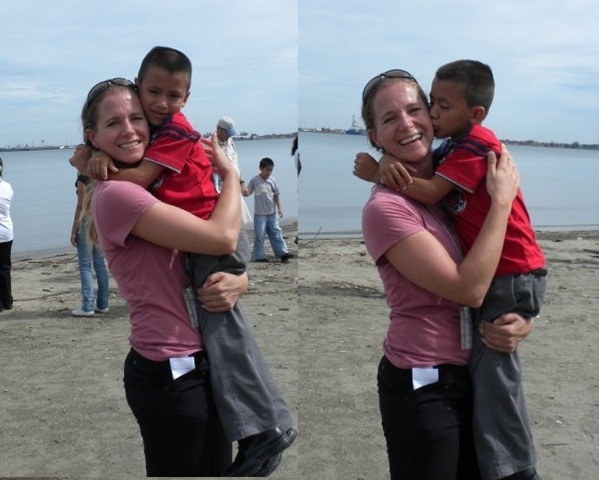 As many of you know I had the amazing fortune of travelling to Honduras to meet Alex, a boy I have sponsored since 2003 through an organization called CFCA. At dinner on the first evening of the trip an older gentleman in the group stood up and addressed the 20+ sponsors. I assumed he was a regular attendee of the trip and wondered how many children he was responsible for helping. 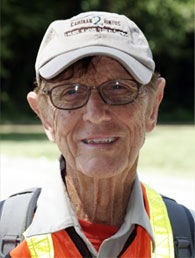 As it turned out, this man was CFCA President and Co-founder, Bob Hentzen. CFCA’s first office was the basement of Bob Hentzen’s home. In 1981 he and a few others put up funds to help 25 underfed and malnourished children abroad. In the first year they received enough to support 1000 families. Almost 30 years later there are over 310,000 children and aging individuals in 24 countries on 4 different continents who eat regularly, go to school, and receive medical care because of what Bob and his siblings decided to do. Long ago, Bob spent months living with poor families to be sure he understood their needs. During this time he discovered a common sentiment. Feelings of Isolation. In 1996 at age 60, Bob decided to show them they were not alone by completing an 8 month walk from CFCA’s home in Kansas City through sponsored communities and into Guatemala 4000 miles away. He walked 40-50 miles per day. The shoes in this picture are one of the 6 pairs he went through on this journey. 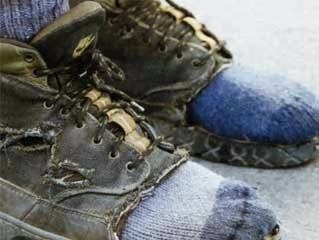 They were hand made by one of the sponsored communities and, according to Bob, the highest quality shoes he has ever worn. Today as you read this, at age 73, Bob is walking again. This time he will go 8000 miles from Guatemala to the tip of South America through 12 countries in 16 months. 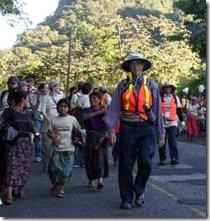 He has walked 500 miles so far and just crossed into Honduras. If you ever consider sponsoring a child, CFCA has it right. I saw first hand that every dollar you send goes straight toward benefits for your specific kid. It does not go into one big pot. It does not go towards organizational costs. (Those costs are covered by grants, business donations, and interest from investments and the records are publically available.) They spend no money on marketing and rely totally on word of mouth. And their goal is not to “convert” these people. Only to give them the basic means to survive.